This combines the brow powder in #1, eyebrow stencils, and Angle Brush. Create celebrity brows everyday from carefully put together expert tools designed to meet all your shaping/contouring needs. This all in one kit is your personal brow care taker. Mini eyebrow tweezer grooms brows on the go. Angled brush with hardwood handle for flawless shaping, blending and grooming. Microfine powder for volume, natural color, shape, and fill. Stencils to give you whatever look you want. We have strict quality standards, and our powders have no mineral oil. This is a safe alternative to permanent dyes and brow pencils. The tools in the kit are carefully made and will last you a long time. 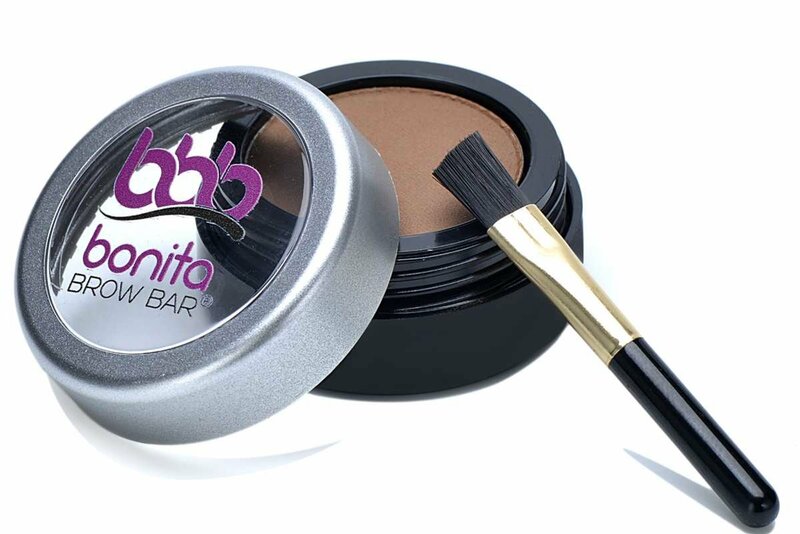 Can replenish with Bonita Brow Bar powder when needed. 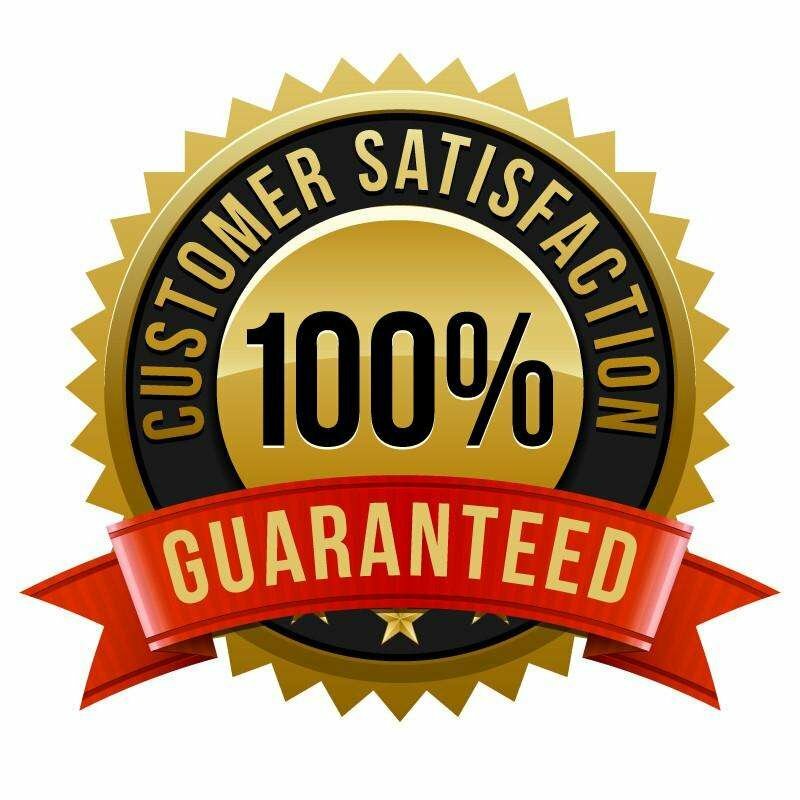 If you are not satisfied or would like to exchange your product, we are happy to do so WITHIN 30 DAYS of your purchase date. At Bonita Brow Bar, we believe in creating, customizing, and improving products by performing services that use the products and getting feedback from our customers daily. We are experts in everything eyebrow related and know what works and what does not work from daily “on the front lines” work. Years of experience at our nationwide salons, continuing to serve thousands of customers daily is now distilled into products that not only work, but would transform your brows. 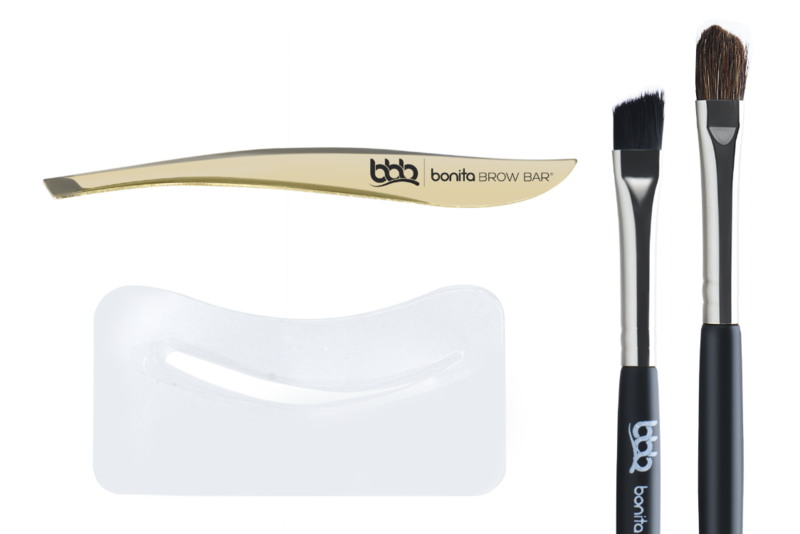 We understand that not every customer can visit our salon, so we made this kit as your own portable brow bar! Eyebrow stencils: Choose from the classic, evergreen stencils and create your own personalized brow shape. Tweezers: High end tweezer ideal for eliminating even the most stubborn or fine brow hair. 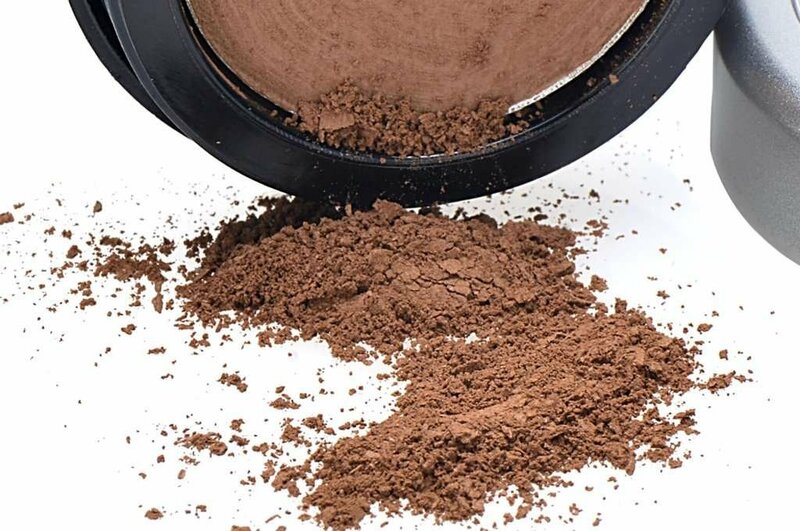 Microfine Eyebrow Powder: Create, fill, voluminze your eyebrows – it is water resistant and has no mineral oil for an all day long, no flake, no clumping and no shine natural look. The Angled Brush: Premium quality synthetic, non-shedding, fibers that help you angle and shape your brows as well as help blend the powder in. Other brushes: Use for a more blended look. For your perfect brow look, order now by clicking the "Add to Cart" button. Brows. Meet Your Favorite Kit. Give your eyebrows the care they deserve.